My Jeju Orange Marshmallows were a hit...and the show even featured a vintage item from my collection. We inhaled marshmallows during commercial breaks. 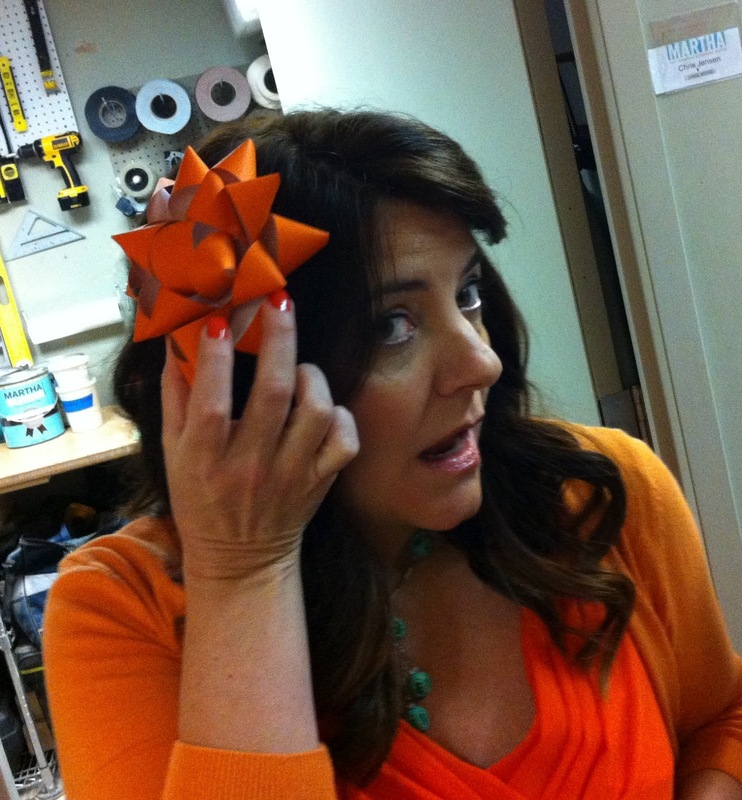 After the segment, Martha let me play around in the craft room where I found a perfectly formed handmade bow that matched my orange frocks. 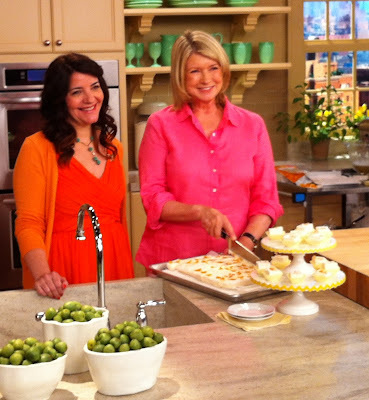 But there was little playing before the segment. 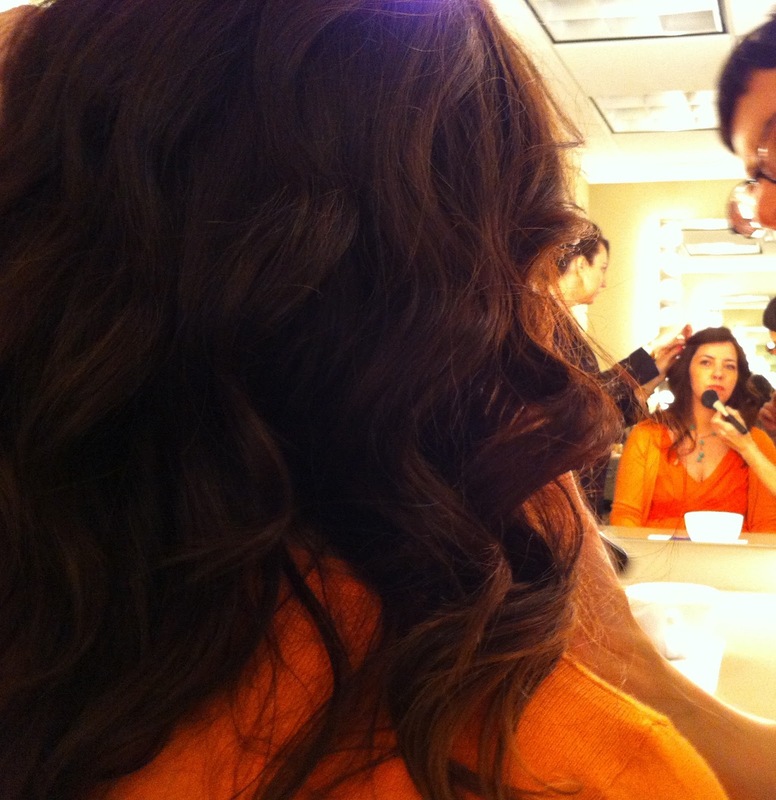 Here I am in hair and makeup, feeling like I am getting ready for the prom. Great show! Making those delicious looking marshmallows today for a bake sale at school. Thank you!